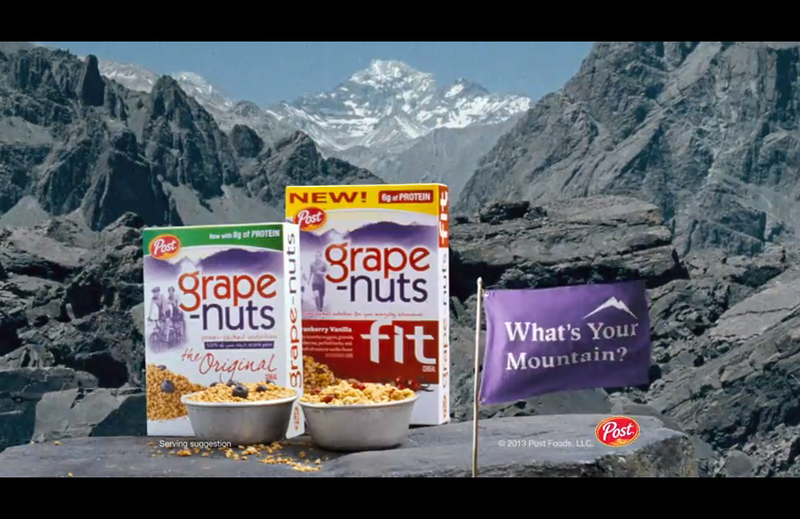 CAMPAIGN: Grape-Nuts What’s Your Mountain? Television was accompanied with online preroll and digital advertising units, instore, sampling, PR and social activations which told the story and asked consumers to tell us their mountains. From running their first 5k all the way to climbing a mountain.